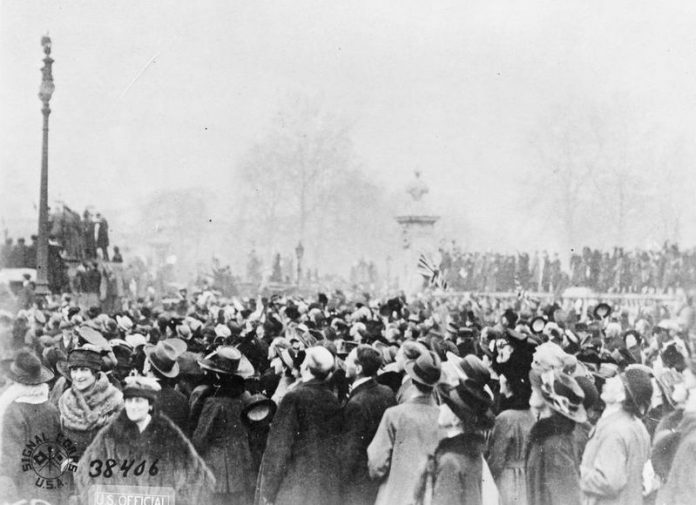 On November 11, 1918 at 11:00 A.M., an armistice was signed between the allied nations and Germany, marking the end of hostilities on the western front in World War I. This holiday is now referred to as “Veterans Day” in the United States and “Remembrance Day” in Canada, but in some nations it still goes by the older term Armistice Day, and I thought it fitting to use that term here in honor of the fact that this year is the hundredth anniversary of this important historical event. Of course, more and bloodier wars were to follow, as people failed to learn the lessons of history. I’m not optimistic that humanity could survive a third world war, so how about we all just stop killing each other once and for all?